Oil tankers are routing their voyages further east into the Indian Ocean away from Somalia’s coastline to avoid pirates who are striking deeper out at sea, a senior ship industry official said. 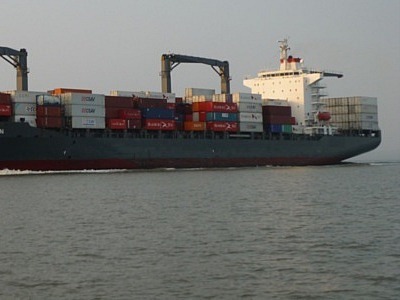 Somali pirates have increased their attacks in recent months, making tens of millions of dollars in ransoms from seizing ships, including tankers and dry bulkers, in the Indian Ocean and the Gulf of Aden. Graham Westgarth, chairman of INTERTANKO, an association whose members own the majority of the world’s tanker fleet, said while navy patrols had ensured the Gulf of Aden was a more secure area, vessels faced growing attacks in the Indian Ocean. “What is happening is that people are routing their ships further and further east which of course adds miles to the route,” he told Reuters in an interview. The use of mother ships has enabled Somali pirates to strike as far as the Mozambique Channel and off India’s coast in recent months launching smaller boats known as skiffs against ships. An estimated 7% of world oil consumption passes through the Gulf of Aden. Ship brokers have said some tankers are travelling as far as Madagascar or even around the Cape of Good Hope to avoid seaborne gangs. Better weather is expected to enhance opportunities for attacks in the coming weeks. Ship brokers said there had been reports this week of an attack on a Japanese oil tanker between the Middle East Gulf and the west coast of India, which broker Braemar Seascope said was a “disturbing development”. “(Somali pirates) are casting their net wider and even more brazenly than before,” it said in a report. Foreign navies have boosted activities off the Gulf of Aden since 2009 and have operated convoys, as well as setting up a transit corridor across dangerous waters. But their forces have been stretched over the vast area, leaving ships vulnerable. The UN Security Council suggested this week creating special piracy courts to plug a gap in the world response to the costly attacks on merchant ships off the lawless Somali coast. Prosecution of captured pirates has been hampered by disagreements over which country should try them. Somalia itself lacks the legal infrastructure to support trials. Westgarth said there needed to be a much more aggressive approach taken by governments in combating piracy. “If they are captured they should be brought to trial and dealt with accordingly,” he said.